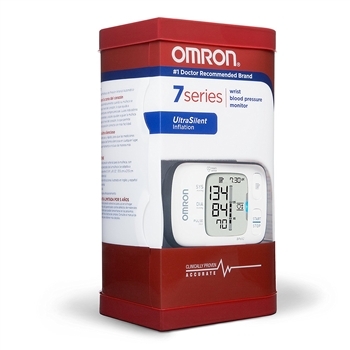 #1 doctor and pharmacist recommended brand and #1 selling Manufacturer of Blood Pressure Monitors for 40 years. 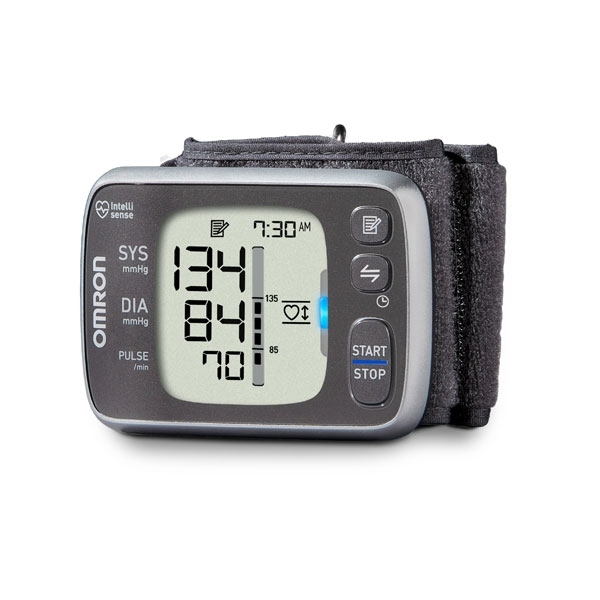 Manage and track your last 100 readings on your monitor and unlimited readings on your smartphone (Android or iOS). UltraSilent Inflation is quick and so quiet that measurements can be taken anywhere, anytime and even more discretely. 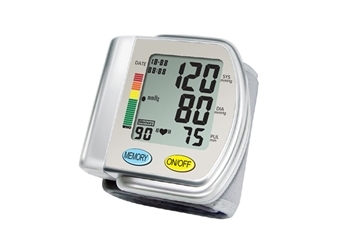 Wide-range D-ring cuff comfortably accommodates arms from 9” to 17” in circumference. Irregular Heartbeat Detector, Advanced Averaging, UltraSilent Inflation and Blood Pressure Level Indicator Bar. 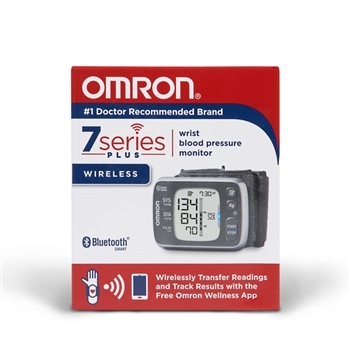 The Omron 7 Series® ultra silent wrist blood pressure monitor (BP654) plus Bluetooth wrist monitor is designed to give you accuracy anywhere. And with Bluetooth technology, you can track your readings on your smartphone with the free Omron Wellness app for select Apple and Android devices. 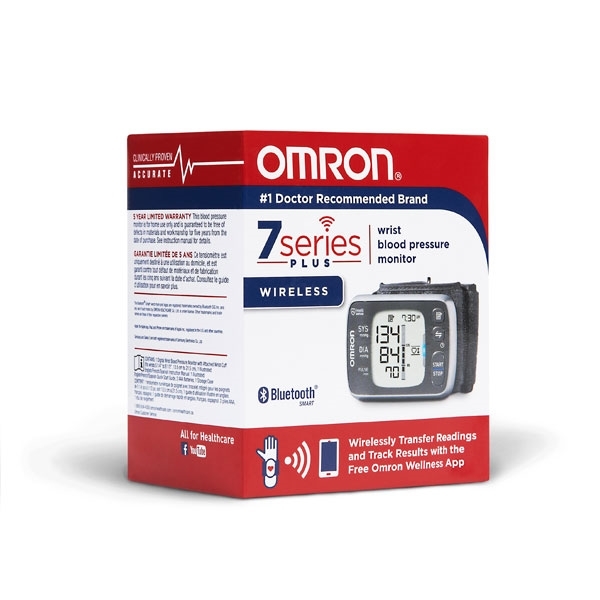 The 7 Series wireless wrist blood pressure monitor provides you with a hypertension indicator icon that will alert you if your reading exceeds internationally recognized guidelines for normal home blood pressure levels, advanced averaging which will display the average of up to the last three readings taken in a ten minute period and memory to track your last 100 readings.